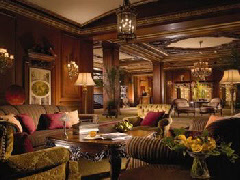 First welcoming guests in 1855, Omni-Parker House is said to be America’s longest continually operating luxury hotel. And with 551 rooms it’s a pretty grand one, too. The hotel is the first stop on the celebrated New England Literary Trail for good reason - it is, after all, where Charles Dickens gave his first reading of A Christmas Carol. More, it has also been patronised by such figures as Oliver Wendell Holmes, Nathaniel Hawthorne, Henry Wadsworth Longfellow, and Ralph Waldo Emerson, all of whom took part in a literary round table.